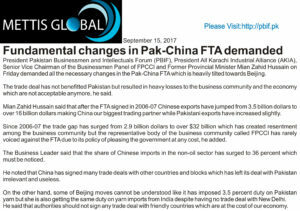 Fundamental changes in Pak-China FTA demanded The trade deal has damaged Pakistan economy. 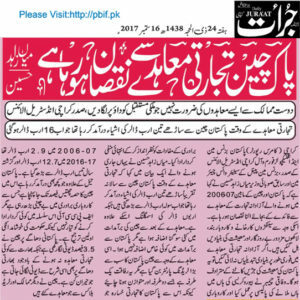 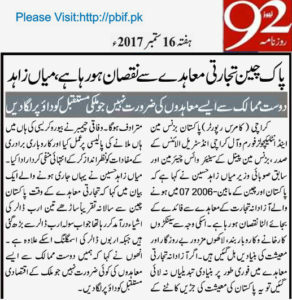 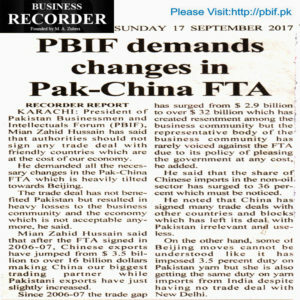 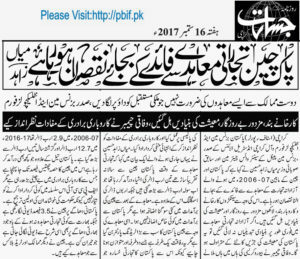 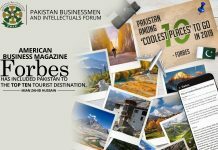 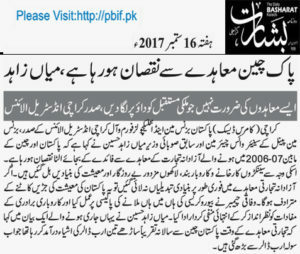 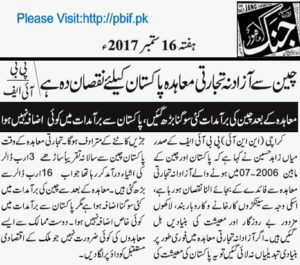 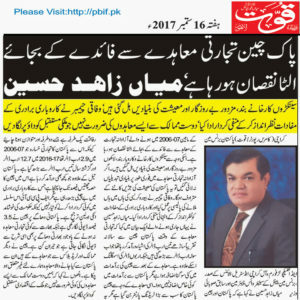 President Pakistan Businessmen and Intellectuals Forum (PBIF), President All Karachi Industrial Alliance (AKIA), Senior Vice Chairman of the Businessmen Panel of FPCCI and Former Provincial Minister Mian Zahid Hussain on Friday demanded all the necessary changes in the Pak-China FTA which is heavily tilted towards Beijing. 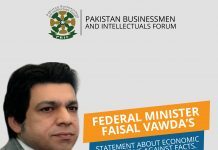 The trade deal has not benefitted Pakistan but resulted in heavy losses to the business community and the economy which are not acceptable anymore, he said. 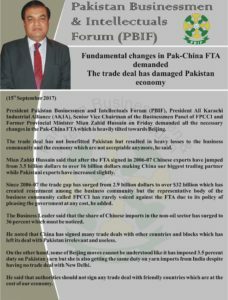 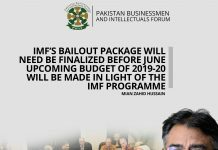 Mian Zahid Hussain said that after the FTA signed in 2006-07 Chinese exports have jumped from 3.5 billion dollars to over 16 billion dollars making China our biggest trading partner while Pakistani exports have increased slightly. 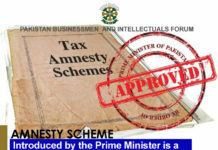 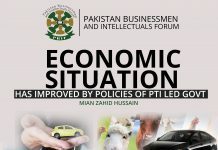 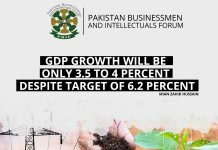 Since 2006-07 the trade gap has surged from 2.9 billion dollars to over $32 billion which has created resentment among the business community but the representative body of the business community called FPCCI has rarely voiced against the FTA due to its policy of pleasing the government at any cost, he added. 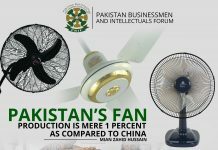 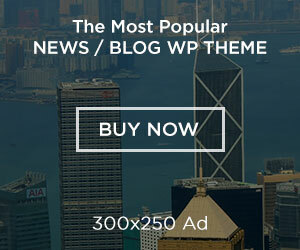 The Business Leader said that the share of Chinese imports in the non-oil sector has surged to 36 percent which must be noticed. 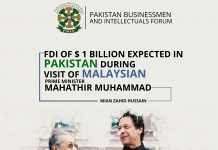 He noted that China has signed many trade deals with other countries and blocks which has left its deal with Pakistan irrelevant and useless. 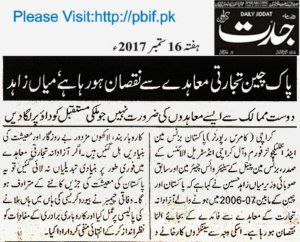 On the other hand, some of Beijing moves cannot be understood like it has imposed 3.5 percent duty on Pakistan yarn but she is also getting the same duty on yarn imports from India despite having no trade deal with New Delhi. 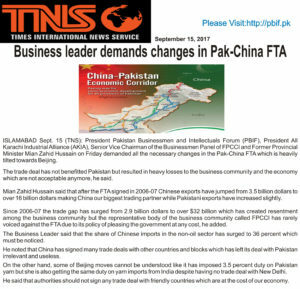 He said that authorities should not sign any trade deal with friendly countries which are at the cost of our economy. 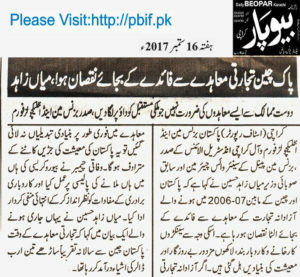 Previous articleDecision to involve private sector in gas distribution lauded Move to enhance transparency, attract heavy investment. 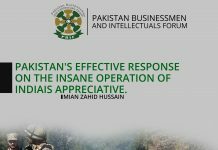 Next articleGovt, military response to US threats lauded Business community fully supports Government move Trade not important than national security, sovereignty Diplomatic campaign, APC suggested.